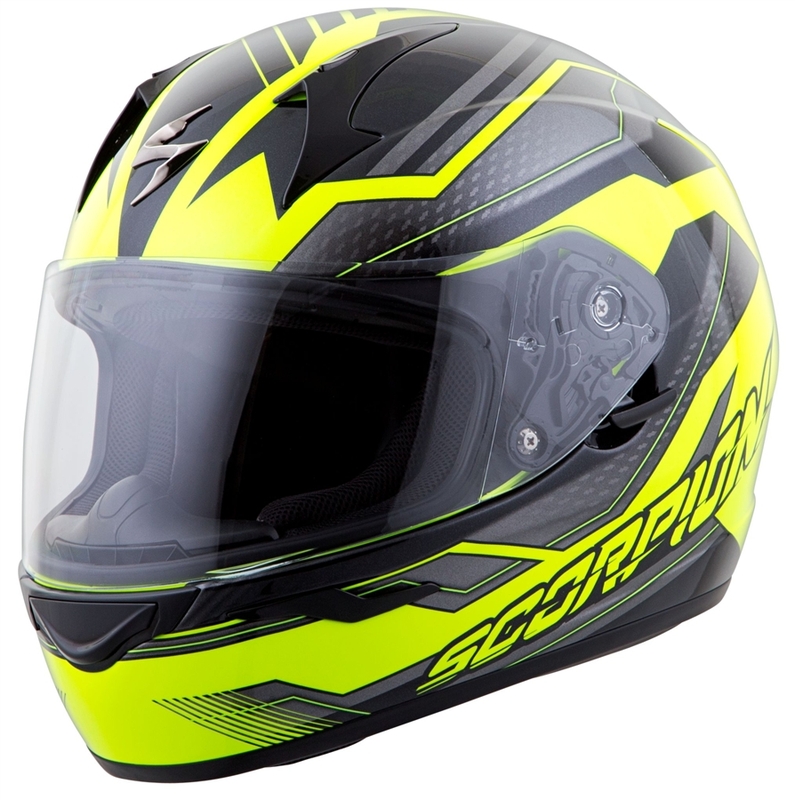 The Scorpion EXO-R410 elevates the standard for Scorpion’s full face street helmet line. With a radically advanced shell design, the ultra-lightweight EXO-R410 comes equipped with advanced features such as the Ellip-Tec® ratchet system for easy shield removal, EverClear® fog free shield for increased vision in extreme conditions, KwikWick® II liner for exceptional moisture control, a finely tuned ventilation system, and the unprecedented integration of our Emergency Release System. The EXO-R410 is a true high performance helmet at an unbeatable value.